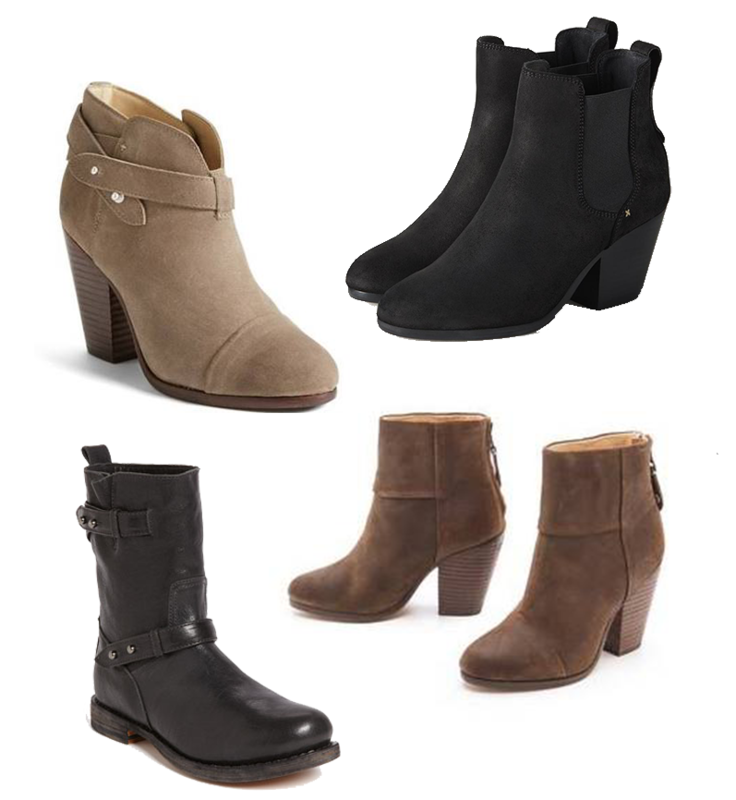 As we are officially entering Fall, I have rounded up my favorite must-have booties by Rag & Bone. If anyone knows me well, I wear my Rag & Bone booties to death! No, I mean really. I have worn through two different pairs. They complement any outfit and add a certain casualness that make it look like you aren't trying too hard. I wear mine year round with denim, in the summer with dresses and shorts, and last night I even paired them with a leather skirt and blazer. They are a bit pricey, but I highly suggest investing in a pair.